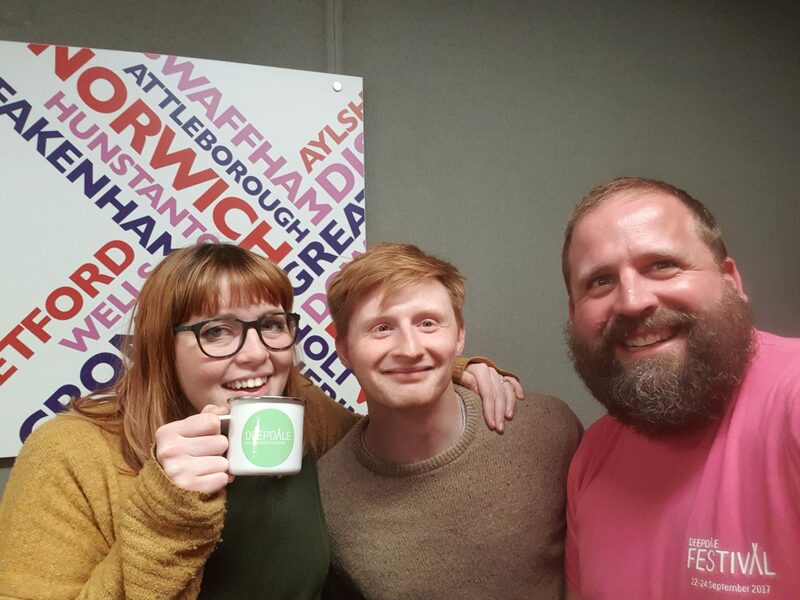 Jason was invited back to the Jack Jay Show to join in with the conversation about the Norfolk Coast. With Jack fully immersed in the Pirates Live show back at the Hippodrome in Great Yarmouth*, the very lovely Sophie Little was sitting in for him. As you may know, Jason does love to be behind a microphone, particularly when being passionate about what we are doing here at Deepdale Backpackers & Camping. Sophie was keen to understand what hygge is and how we interpret that for the Deepdale Hygge event. They also chatted about forthcoming events at Deepdale, including the Sunday Sessions, open air theatre, and more. Joining Jason to chat with Sophie was Michelle from Letheringsett Watermill**. It was great to hear about how she is developing the mill and the range of flours. Michelle explained some of the history, and that her father had restored the mill. Michelle and Letheringsett Watermill have a connection to Deepdale Backpackers & Camping, as they grind the flour that The Wood Fired Food Co use to make their pizzas, and the wheat for that flour is grown at Deepdale Farm. Love these fork to fork food stories. Sam the producer excelled himself with a quiz near the end of the show. Can you guess the name … Who Wants To Be A Watermill ionaire … You have to listen to the theme tune! Fittingly Michelle won the quiz, identifying mills that weren’t in Norfolk. Jason’s buzzer sound was him shouting Breast Shot Wheel.